Most likely, you are interested in information about the Institutional Long-Term Care Program (“ICP”). Medicaid is a Public Benefits program. The rules are very complicated, and for you or your loved one, there is a lot at stake. The costs of long-term custodial care are going nowhere but up, quickly approaching $100,000 per year. There are only three ways to pay for long-term custodial care: 1. Private Pay 2. Long-Term Care Insurance; or 3. Medicaid. If you are in a crisis situation, it is recommended that you consult with an Elder Law attorney familiar with Medicaid eligibility rules before you apply for Medicaid. 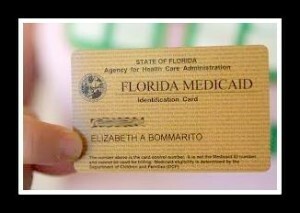 Florida Medicaid is a welfare program jointly administered by the federal government and the State of Florida. Florida administers the program subject to their own state agency and Medicaid Procedure Manuals. An applicant has to satisfy two eligibility criteria: First, the applicant must be over 65 or disabled, and Second, the applicant must have less than $2,000 in countable resources. If determined eligible for institutional long-term care, Medicaid will pay the nursing care facility the costs for custodial long-term care of that individual. In addition, Medicaid will pay the facility, or a third-party provider, for the cost for ancillary services provided to the individual. Medical eligibility for long-term care is determined on a case-by-case basis. Covered groups are the over 65, blind, and/or disabled. In most jurisdictions, the aged applicant must also be deficient in a number of activities of daily living (transferring from bed to chair, bathing, dressing, toileting, eating, etc.) and require Skilled Nursing Care. If your loved one is at home, the county social services office will do an assessment for eligibility. If they are in a nursing home, the facility will conduct the assessment. Medicaid’s financial eligibility rules were designed with the married couple in mind. The individual who is applying for long-term custodial care is identified as the “institutionalized spouse (IS)” and the spouse at home is the “community spouse (CS).” All of their resources, regardless of whose name is on the title or account, are counted for purposes of Medicaid eligibility. This includes resources titled jointly with any third-party, including relatives. Once all resources are identified, they are divided into two groups: Countable assets and Exempt assets. Exempt assets include the marital home, provided the CS is living in it, personal property, pre-paid funeral and burial, and automobile. All resources that are not exempt assets are countable. The value of each countable asset is fixed by Medicaid as of the first day of the first month of the admission of the IS into a medical facility that lasts more than thirty consecutive days. Income is treated differently for Medicaid eligibility purposes. Medicaid follows the “name on the check rule”; that is, there is no mingling of income between spouses. The general rule, subject to variations among jurisdictions, is that if the applicant’s income is less than the private pay rate of the nursing home and he/she is resource qualified, then he/she is financially qualified. Medicaid eligibility rules also provide for a shifting of income from the IS to the CS to assure that the CS has a base income for their living expenses. Eligibility rules are complicated, and eligibility strategies, resource preservation, planning, and documentation will vary, so it is very important to contact an Elder Law attorney prior to attempting to navigate the application process.